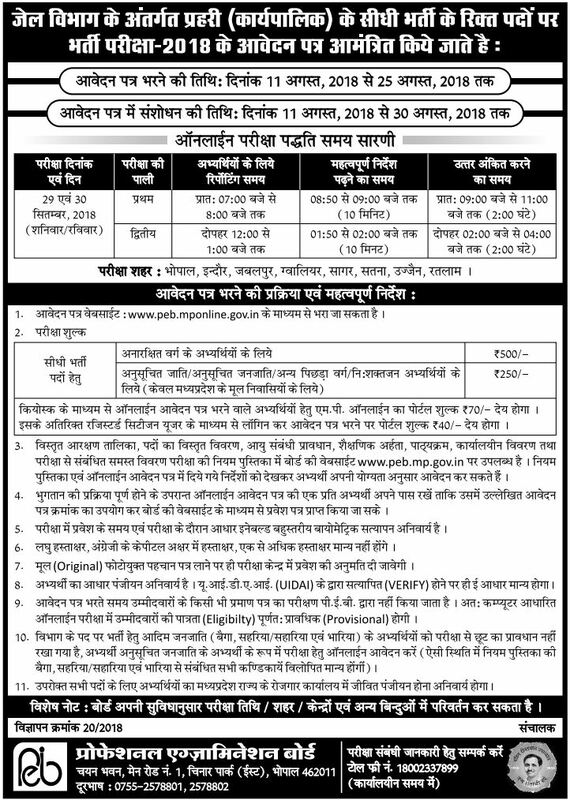 The age of the Candidates age should Minimum 18 years and Maximum 40 years as on 01-08-2018, Age relaxation rules apply as stated in the advertisement above. Candidates should have qualification in this Recruitment process they must have passed 10+2 Or Intermediate Pass Form Recognized Board. 0 Response to "MP Vyapam Jail Prahari Recruitment 2018–19 Apply Online for 475 Posts"